Hi! I'm a stuffed alligator from the Big Eyes collection. I'm super cute (if I must say so myself) and have a cuddly body of soft green fur with lime green accents. I do indeed have big watchful eyes on my sweet face. And don't worry about my felt teeth that are sticking out... I don't bite. 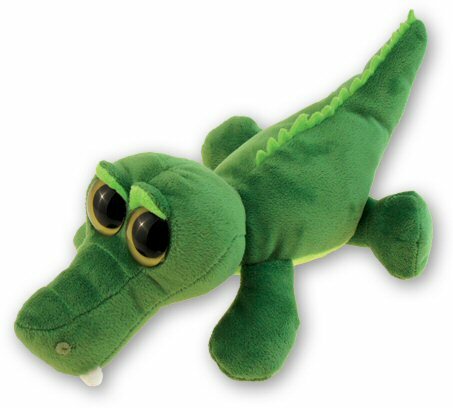 I'm simply a plush alligator that wants to share fun and imaginative adventures with you!